Worth knowing about the Spagos Suite. 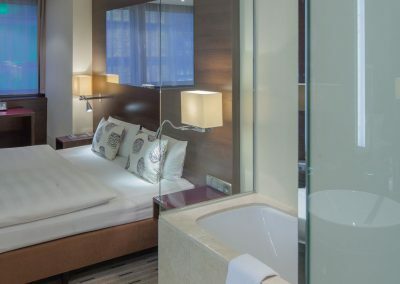 Enjoy your stay in Berlin with a special touch. 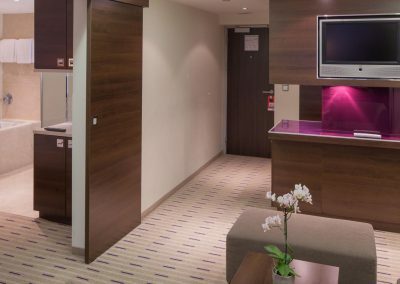 The purple coloured Spagos Suites at the Park Inn by Radisson Berlin Alexanderplatz provide you with everything a heart desires. 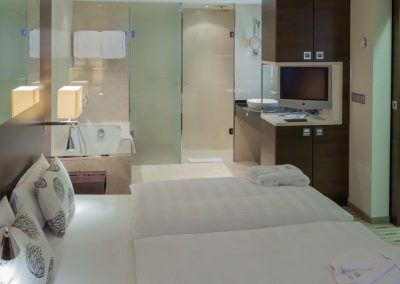 The spacious Suite offers two rooms on approx. 40m². 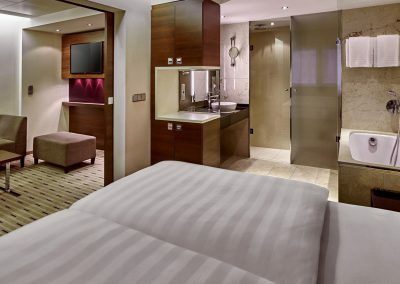 Apart from the colour-coordinated living room the Suite features a large bedroom with an open bathroom solution. The perfect conditions for a relaxed evening after a long and exhausting day in Germany’s biggest city. 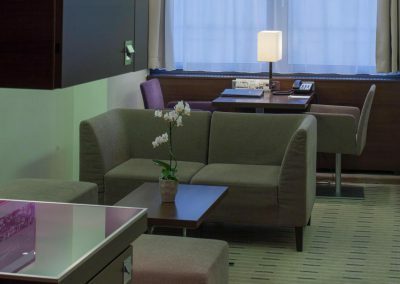 Enjoy the central position of our hotel and amenities like Air Conditioning, Safe, Flat Screen TV. These amenities await you in the Spagos Suite.